For the first time, VAT enforcement is moving to the transaction level for every type of transaction, which as we know from Sovos’ extensive work in Latin America, has a much larger impact on business systems than the previous B2G scope. Global tax software leader Sovos today announced that it has expanded its global e-invoicing compliance solution to support private companies mandated to comply with Italy’s full electronic invoicing requirement by January 1, 2019. The product extension makes Sovos eInvoice a solution for VAT and e-invoicing compliance in Italy, covering all four areas that companies established in Italy must consider for full compliance: accounts payable, accounts receivable, compliant e-archiving and value-added tax (VAT) reporting. Italy has mandated e-invoicing for business-to-government transactions since 2014. However, the country still has the highest tax gap within the European Union at 35 billion euro. The Agenzia delle Entrate, Italy’s revenue agency, is responding by adopting a “clearance” e-invoicing model - a tax modernization system which has been successful in reducing the VAT gap in 15 countries across the globe. Under this clearance model, a company must submit all invoices electronically to the tax authority for VAT audit purposes, putting the government at the heart of transactions. At the outset of 2019, all companies established in Italy must adopt the clearance e-invoicing model for domestic invoices. Failure to comply can result in penalties ranging from 90 percent to 180 percent of the VAT inaccuracy. And, Italy is likely to get more complex in itself, van der Valk said. For example, today customer invoice acceptance or rejections do not need to be registered with the Italian invoice clearance platform. The use of the SDI system for export and outbound intra-community invoices is also currently optional. “However, we expect these processes to become mandatory, and Sovos already supports these functions to proactively safeguard businesses,” he continued. Sovos brings a breadth of e-invoicing experience and functionality unmatched in the industry, supporting e-invoicing compliance in all its forms in more than 60 countries. The software provider has been operating locally in Italy for more than 10 years helping businesses keep e-invoices compliant with existing regulations, including support of eIDAS e-signature requirements and compliant archiving of invoices for audit purposes. In addition, Sovos’ e-invoicing compliance is natively embedded in approximately 70 leading B2B transaction automation solutions, including leading EDI, P2P and supply chain management applications, allowing European businesses to consolidate vendors across both ERP and cloud applications, often without additional costs or implementation efforts. The Sovos Italy eInvoicing solution is now available. Visit sovos.com/mandatory-b2b-italy-einvoicing for more information. In addition, SAP customers can click here to learn how the new solution enables global e-invoicing natively in ECC, S/4HANA, Ariba and other SAP applications. Sovos is a leading global provider of software that safeguards businesses from the burden and risk of modern tax. As governments and businesses go digital, businesses face increased risks, costs and complexity. 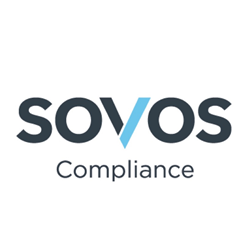 The Sovos Intelligent Compliance Cloud combines world-class regulatory analysis with its secure, scalable and reliable S1 cloud software platform to create a global solution for tax determination, e-invoicing compliance and tax reporting. Sovos supports 4,500 customers, including half of the Fortune 500, and integrates with a wide variety of business applications. Headquartered in Boston, Sovos has offices throughout North America, Latin America and Europe. Sovos is owned by London-based Hg. For more information visit http://www.sovos.com and follow us on LinkedIn and Twitter.